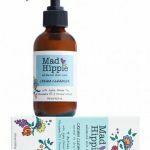 The All Natural Face vegan and cruelty-free beauty products were made for those with sensitive skin who find that conventional makeup irritates their skin. The folks at All Natural Face are one of the few companies who really gets the fact that what we put on our skin, is detrimental to our internal health. Pointing out that our bodies absorb 65% of the chemicals applied to our skin, The All Natural Face products all contain clean ingredients; meaning natural cosmetic products that are naturally occurring and not chemically manufactured. The All Natural Face products were born out of the founder’s experience with mineral makeup, which left her skin irritated and less healthy. She started making her own bath and body products and before too long, friends were requesting her products. 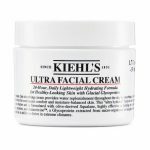 Keeping the mission to provide their customers with pure cosmetics in mind, they use as many organic ingredients as possible, and completely vegan ingredients. They even address the fact that the crushed up bugs used to pigment red lipstick are cleverly disguised under the ingredient name, carmine.” They are quick to state that they never use carmine in their products. In addition to refusing to put gross animal products in their products, such as carmine, they refuse to use other nasty chemicals and ingredients such as parabens, bismuth, dyes and talc. Further, they strictly test their products on humans, never animals. And in the true intentionally cruelty free spirit, the folks at The All Natural Face volunteer at their local animal shelter and rescue animals! 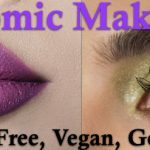 The All Natural Face vegan and cruelty-free beauty products have a full line of cosmetics, including 51 shades of foundation and 89 shades of eyeshadow. 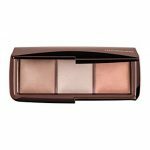 In the face category they carry foundations, loose powder, pressed powder, blushes and bronzers. 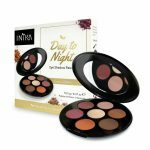 For the eyes, they carry shadows, liners, primers, mascara, brow wax and brow powder. And they have your lips covored with a wide assortment of balms, glosses and sticks. They even have a collection of natural body products such as sunless tanner, essential oils and perfumed oils. To learn more about The All Natural Face vegan and cruelty-free beauty products, visit their website. 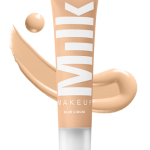 Milk Makeup: Don’t Be Fooled By the Name, It’s All Vegan!